Archived article: please remember tax and investment rules and circumstances can change over time. This article reflects our views at the time of publication. The Downing Pub EIS – Tranche 3 has just opened for investment. It is seeking £10 million to invest in two pub companies: Maverick Pubs Ltd and Grosvenor Pubs Ltd. Downing has a good track record in investing in pubs and has over £100 million of pub assets under management. This latest tranche of the Downing Pub EIS will invest in two pub businesses, Maverick Pubs Ltd and Grosvenor Pubs Ltd. Downing intends to split money equally between the two. Each company is planning to buy and refurbish two to three pubs. Maverick Pubs Ltd is run by serial pub entrepreneur David Bruce and is a joint venture between Downing and West Berkshire Brewery, a company we like and have raised money for recently. David Bruce founded the Firkin pub chain in 1979, selling it for £6.6 million in the 80s. Another pub chain he co-founded, The Capital Pub Company PLC, floated on AIM in 2007 and was eventually sold to Greene King for £93 million in July 2011. David Bruce’s most recent success has been the City Pub Company (East and West), which he has just floated on AIM as City Pub Group reaching a valuation of more than £100 million on its first day of trading. Both the Capital Pub Company and the City Pub Company were funded via EIS investment. Past performance is not a guide to the future. Maverick Pubs Ltd is seeking to build an estate of high-quality freehold pubs in London and the South East. The Company has exchanged contracts to purchase its first site in West London and is in advanced negotiations to purchase its second in North London. Each site will have its own distinct décor and food and beverage offer, but all will offer a relaxed, high-quality service, an excellent beer selection and a simple but well-executed menu. Grosvenor Pubs Ltd, also led by a highly experienced team, is seeking to build an estate of premium gastropubs in well-connected commuter belt towns and villages. The company will target closed sites (or those not previously trading as pubs) that have historic features and some letting rooms. The sites will not be overtly branded but will be refurbished with common design features, such as warm colours, open fireplaces and natural materials where possible. This is the third tranche of Downing’s Pub EIS. The first tranche was launched in 2012. Downing has a 35-strong investment team. 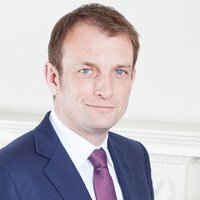 The licensed trade team is headed up by partner Steven Kenee. Downing has a strong specialism in asset-backed deals. In total Downing manages over £700 million across EIS, VCT and IHT investments. Downing has invested £100 million in pubs within its VCT and EIS portfolios (as at 30 September 2017). The management is expected to invest significantly in each deal so their interests are aligned with those of investors. EIS rules dictate existing trading businesses do not qualify for EIS relief as new investments. These pub companies will typically buy freehold premises from pub businesses that have gone into administration or they will convert old buildings such as a bank or fire station into a pub so should qualify for EIS tax relief. This also means the deal can be cheaper than buying a trading business as there is no element of goodwill to be negotiated (i.e. paying for future profits). With record numbers of pubs shutting down each year, investing in pubs might seem an odd choice. However, decent pubs are in demand. Anyone who has tried to book a last-minute Sunday lunch at a good pub will probably testify to that. A well-run pub in a good location can be a good and predictable business. In addition, the tangibility of the investment appeals to many investors. You can see it, eat in it and drink in it. Finally when you invest in a pub which owns the freehold, even if the business fails you should at least own an asset which should be worth something. A primary objective of this EIS is to fund the growth of these two pub companies. In the event of the failure of an underlying business, the base value of the asset should be recoverable, although not necessarily in full. This fund does not have a target return. Historically Downing has had a target return of £1.10 on such funds. Whilst there is no guarantees this will be achieved we would hope investors would be achieving at the minimum a return such as this. Please remember investments can fall as well as rise in value so you could get back less than you invest, and returns are not guaranteed. Downing anticipates investing the money in the 2017/18 tax year meaning income tax relief should be available for that tax year and 2016/17 if using carry back. EIS3 certificates could take between 4 and 12 months to arrive typically after each individual investment is made. There is no specific exit strategy, however Downing will seek to provide an opportunity for investors to realise their shareholding within four to five years from the close of this offer. Historically Downing has been good at returning investors’money in a timely manner, although there is no guarantee this will continue to be the case. Whilst Downing aims to mitigate risk where possible, there are clearly no guarantees and this is a high-risk investment. The asset-backed nature of many of the investments will provide a degree of underpinning but this is unlikely to cover the entire investment. It leaves investors exposed to the property market, which in a downturn can be an illiquid asset class. The usual risks with unquoted companies exist with this EIS offer. For instance, EIS investments are illiquid and capital is at risk. Investors should not invest money they cannot prepared to lose. The value of tax relief will depend on the circumstances of the individual investor and tax rules could change in future. There is a 5% initial charge (reduced to 3% when you reserve through Wealth Club by 29 December) and an annual management fee of 2.5% plus VAT. Downing will receive deal arrangement fees of up to 2% plus VAT from the underlying companies. There is a performance fee of 20% of returns between £1 and £1.10 based on £1 invested and 30% of returns thereafter. Please see the provider’s documents for further details on fees. Downing has a long history and pedigree in investing in pubs. The management teams behind the two pub groups have an excellent track record. Investing in pubs through EIS is appealing to many investors. In addition, there have been few other offers of this nature open in recent years. We expect the offer to sell out quickly.